Lemon Myrtle Natural's range of fragrance and lifestyle products lets you delicately scent your entire environment using pure lemon myrtle oil. 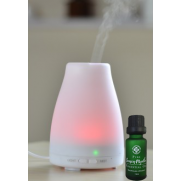 Using the essential oil is a form of Aromatherapy with its therapeutic benefits that is not possible with synthetic fragrance oils which may contain toxins and have no healing benefits. Quality is important when seeking therapeutic benefits. Our indulgent fragrance and lifestyle products are designed to scent your environment and create a relaxing, uplifting ambience. Everything your need for an exceptional fragrance experience for your home or work space! What does an Australian Christmas smell like to you? 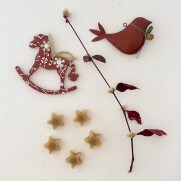 These handmade Christmas Star.. 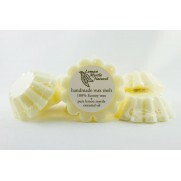 Lemon Myrtle Natural's wax melts are the natural choice for your environment. Our hand poured.. The Premier Electric Oil Vaporiser Gift Pack is a basic Aromatherapy pack or an ideal gift pack. .. The Ultrasonic Mist Diffuser Gift Pack is an indulgent Aromatherapy pack or an ideal gift pack. .. The illumamatic Multi-light Electric LED Vaporizer Gift Pack is a visually and aromatically tanta.. The Deluxe 2inOne Oil & Wax Vaporizer Gift Pack is a versatile Aromatherapy pack or an ideal .. The Soy Wax Melt Electric Warmer Gift Pack is a basic Aromatherapy pack or an ideal gift pack. ..